'All the proof anyone might need that it's still possible to make a successful horror film using the tried and tested tropes of the genre'. 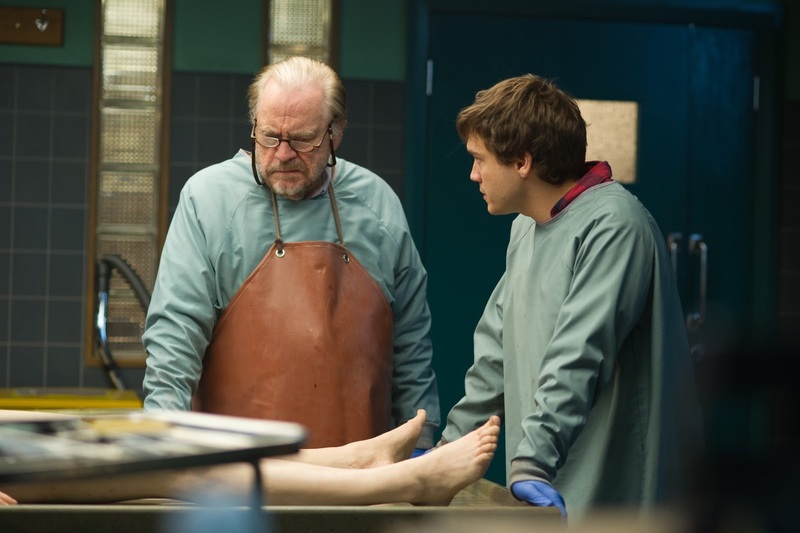 For a considerable chunk of its running time, The Autopsy Of Jane Doe is all the proof anyone might need that it's still possible to make a successful horror film using the tried and tested tropes of the genre. Apart from a brief opening scene, the entirety of André Øvredal's film takes place in a single location: the morgue run by Tommy Tilden (Brian Cox) and his son Austin (Emile Hirsch). The director patiently unfolds the mystery surrounding the titular cadaver through Tommy and Austin's post-mortem examination, gradually building up both the tension and the suggestion that supernatural forces may or may not be at play. As such, The Autopsy Of Jane Doe essentially offers a fresh and intriguing twist on the haunted house set-up for much of its first half. It's a genuine shame then that Øvredal can't keep that momentum going as his film heads towards the closing act. It's possible to pinpoint the moment at which the director moves away from the palpable levels of suspense and intrigue he's created and shifts towards far more schlocky and unsubtle means of unnerving the audience. The chilling understatement and restraint used so well during the first forty five minutes or so are replaced by jump scares and occasional CGI elements which, whilst never terrible, lack the highly effective simplicity, precision and emotional care taken over what's come before. Whilst he does manage to regain some of the earlier intrigue during the coda, what Øvredal delivers is ultimately a film of two halves, the second section being markedly less interesting and well executed than the first. What the director does have on his side throughout, however, is the central pairing of Cox and Hirsch, both of whom commit fully to the tone of both halves and who share a satisfying and believable subtly fractured relationship. Credit also deserves to go to Olwen Catherine Kelly who plays the Jane Doe of the title, making the task of being both genuinely menacing and a convincing corpse look remarkably easy all the way through. The Autopsy Of Jane Doe is available on UK Blu-ray, DVD and digital download now.